Southeast commercial properties have extensive maintenance and landscaping needs, especially when fall is in full swing. Given the cold, snowy climate we have in Calgary, fall property maintenance can be very demanding. There’s a lot to do to get ready! This is especially true if you’re trying to make up for lost time due to neglect in the summer, so be sure to take care of essential winterizing tasks before the weather turns cold for good. Check your parking lots and walkways. All lots and walkways should be thoroughly swept clean of sand, leaves, twigs, pebbles and other debris before the first snowfall. While you’re sweeping up, check for potholes, cracks and uneven pavement. These should be repaired before winter arrives to help reduce the likelihood of an accident or slip-and-fall liability issue. Trim your trees. Trees with old, worn, or weak branches should be trimmed, especially those that hang over top of roofs and outbuildings. Branches can easily break under the weight of snow, and they can cause major damage to anything in their path. Upgrade your lights, stripes and signs. Darkness falls early during the winter, and making sure your business is well-lit improves safety as well as visibility to customers. Parking lot striping and pavement markings should be refreshed to help guide vehicles along safely, and all walkways should have ample lighting. Rake the leaves: Dead leaves can interfere with your lawn’s ability to prepare itself for winter. Mulching mowers offer a great solution, as they simultaneously remove leaves while spreading nutrients. Fertilize: Your lawn’s final feeding is the most important of the season. Fertilizing with a special autumn blend of nutrients helps grass roots stay strong and nourished throughout the winter. Aerate: During the summer, high levels of foot traffic can result in soil compaction, which interferes with grass health. Aerating your lawn loosens soil, introducing more air and giving your grass a boost. Get a jump start on your spring planting: Planting bulbs before the ground freezes can be great for growth when spring returns. Daffodils, hyacinth, tulips, and other flowers are excellent candidates for fall planting. Clean out your garden: If annuals are just left to die in your garden, you’re inviting trouble. Insects and other pests love to lay eggs in decayed plants. Don’t let them get a foothold; make sure your gardens are clean and clear. Mirage Landscaping can take care of all this and much more for very affordable rates. Concentrate your resources on running your business, and let our professional crews take care of your autumn property maintenance for you. Does Your Property Have an Irrigation System? Many commercial properties in southeast Calgary have built-in irrigation systems. When the weather turns cold, it’s essential to have your sprinkler system properly drained and blown out with compressed air. This ensures that any trapped water will drain, reducing your chances of suffering a pipe burst. It isn’t a good idea to perform irrigation system shut-downs and repairs yourself. These tasks require advanced knowledge of system design and engineering, and seemingly small mistakes can cause major damage. To avoid these risks, we recommend scheduling a proper shut-down with a proven service provider. During your irrigation system shut-down, our professional crews will also perform an operational inspection. You don’t want to be dealing with problems when spring returns, so let us make sure your system is in ship-shape before winter’s arrival. 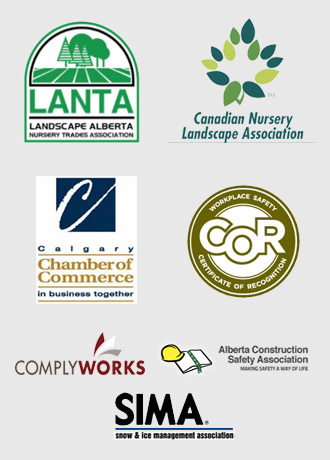 Mirage Landscaping is a leading provider of commercial property maintenance services and snow removal in Calgary. With winter just around the corner, now is the time to take care of all your property maintenance needs and set up your winter snow management services. Our crews provide reliable and prompt snow removal services, as well as supplementary safety services that ensure your customers enjoy a safe visit to your business. Our family-owned company delivers a long list of benefits for businesses. For three generations, we’ve taken great pride in providing excellent service at very affordable rates. 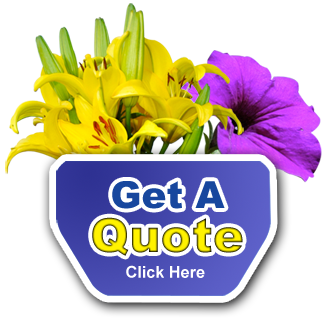 Discover for yourself just how easy and inexpensive it is to enjoy all the perks of professional landscaping. Visit Mirage Landscaping today to get a fast, free service estimate.